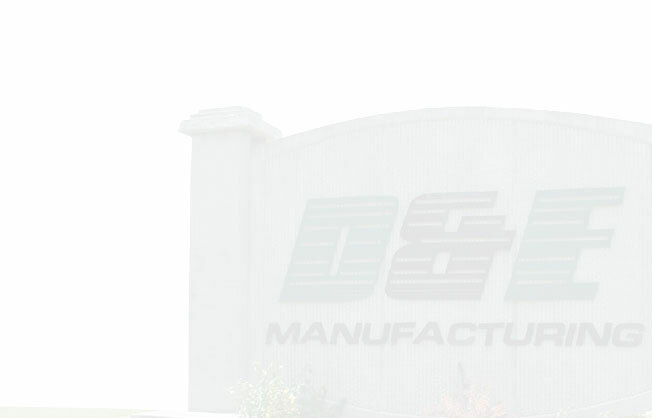 D&E Manufacturing produces high quality attachments for heavy equipment used in many types of construction, landscaping, industrial, and agricultural applications. Please Note: If you are receiving Java Script or Active X script warnings from your browser: please "Allow" these scripts. This web site only utilizes these functions for the top menu, and to display larger product images- they are completely safe for your computer, and will make your visit to our site easier. The company was founded when David Smith saw a need for better quality heavy equipment attachments because he was constantly repairing other manufacturers products in his machine shop. Ever since then our goal has been to provide our customers with easy to use, high quality, durable attachments. We want to make the jobs of clearing, cleaning, building, and harvesting, a faster, less labor intensive, process. And by looking at the growing ranks of our satisfied customers, we believe we are succeeding at that goal. D&E is owned and operated by David, his wife Edna, their family, along with many skilled & dedicated employees. Our facilities are in Moncks Corner, South Carolina located about 25 miles northwest of the historic city, and port, of Charleston. Please review our products, and contact us for further information or to inquire about a quote. We will be happy to answer all of your questions and advise you on the best attachment for your type of machine, and job application.